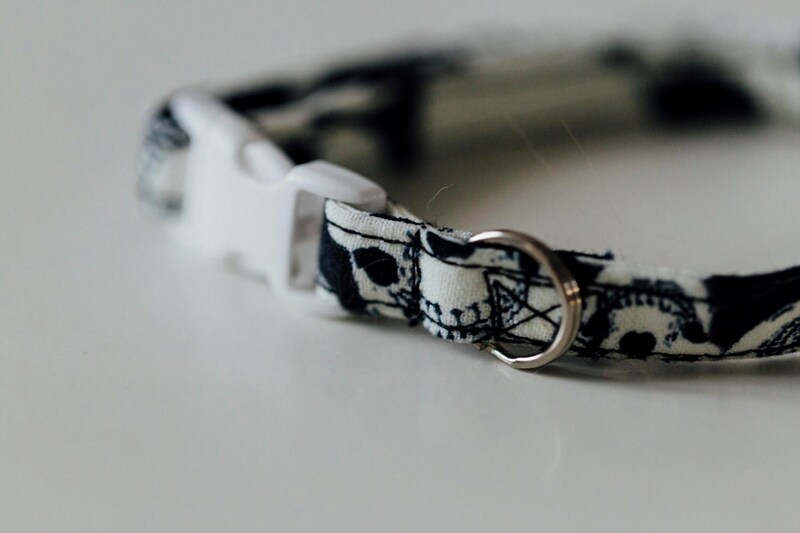 Ari is wearing the glowing in the dark Skulls cat collar. 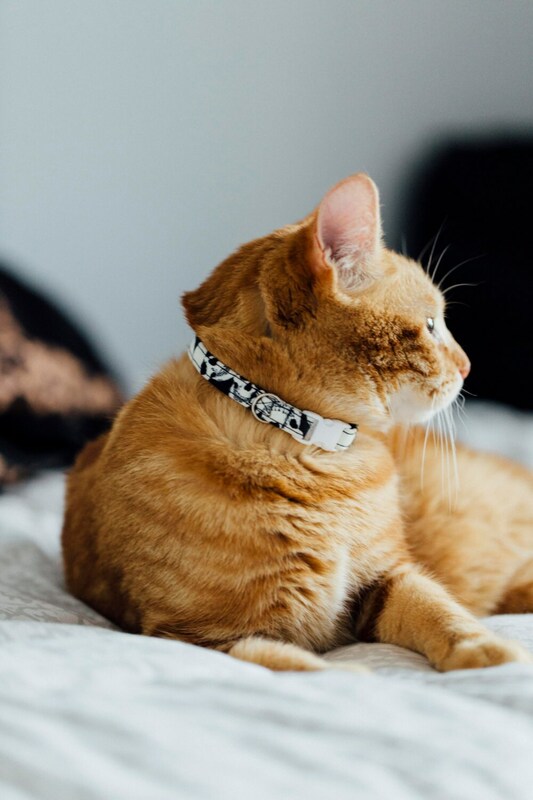 All Tigre et Loup's cat collars are made with breakaway buckles that release with the right amount of tension. If the collar gets caught on something, the twisting and pulling will cause the buckle to pop open. 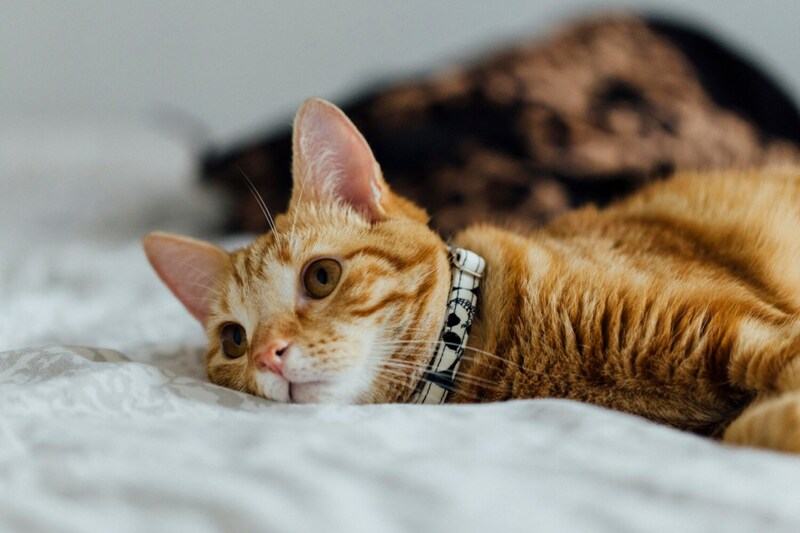 These collars are not intended to be used with a leash. 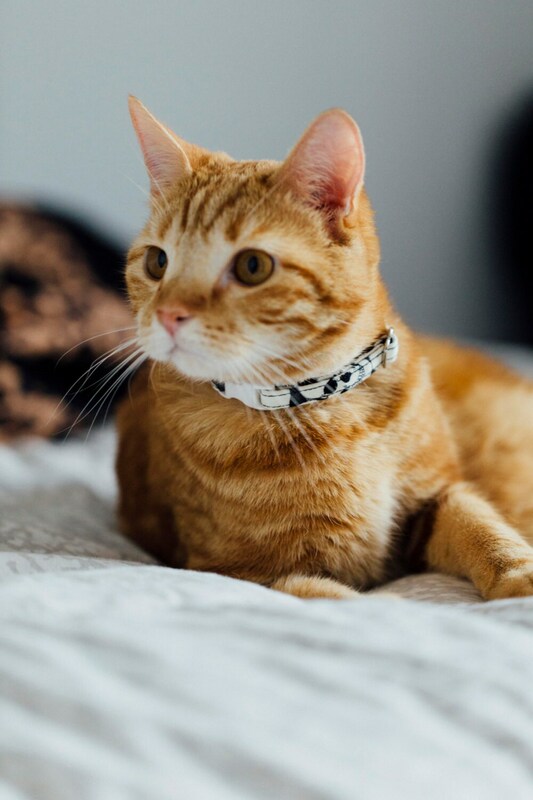 Fidèle à la photo, je suis ravie de ce collier pour mon chat qui est dorénavant un vrai crooner rock n' roll!! Parfait, Exactement comme sur la photo ! Je suis ravie et mon chat aussi !